What started as a Ludum Dare challenge under the theme “Evolution” ended up as a “monster mashup of many different game genres with an underlying theme [Team Meat] hadn’t seen done in games before”. 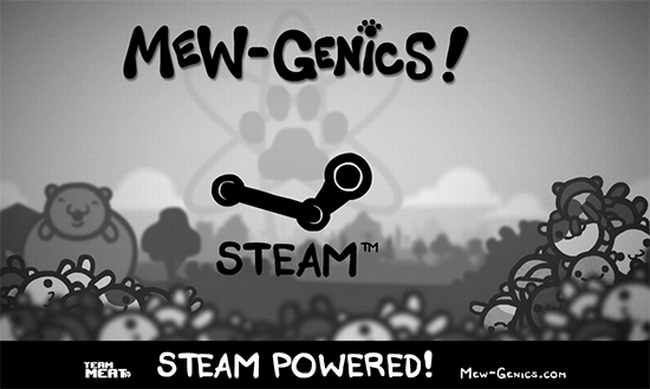 The duo called it Mew-Genics and decided to develop it as their main project. The Super Meat Boy creators have been teasing Mew-Genics via “Caturday” posts for a few months now, but the secrecy will apparently be lifted soon. Team Meat “will only do two more Caturday teasers after this then pull back and focus on getting the game done as well as officially announcing what the game actually is and how it plays.” Previously headed for iOS, Mew-Genics is also getting Steam support.